We eat a lot of chicken and beef so whenever I come across a recipe for pork chops that looks good I add it to my dinner rotation. 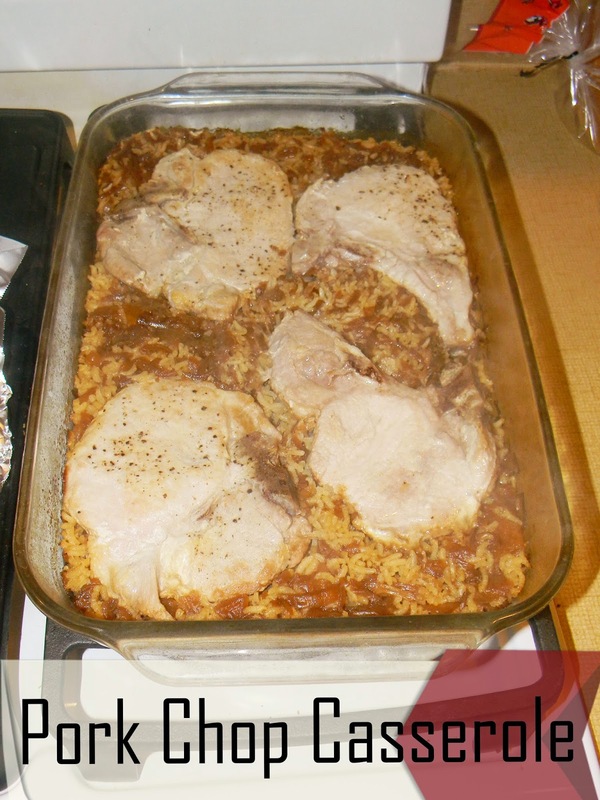 This casserole was pretty good and quick to make. Add soup and rice to dish and mix together. Add browned chops on top and cover tightly with aluminum foil. Make sure it's sealed on all edges or the rice won't cook right. Bake at 375 degrees for 1 hour.